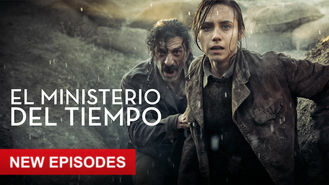 The Ministry of Time (2015) on Netflix Costa Rica. Check worldwide Netflix availability! If The Ministry of Time isn't available in your country, or you are visiting a country where it isn't, there is still a way to watch it! Three officers from different eras work for a secret agency guarding Spain's past from time-traveling intruders trying to manipulate history. A secret agency reports directly to the prime minister of Spain. Its mission: Protect the future by guarding the past.